Aubrey Jennings has always wanted to spend a romantic day in Paris. Unfortunately, the b.f. who would have taken her is now an ex, but she’s going anyway. Her sister sets her up to go with someone—too bad it’s stuffy Benjamin Drake. 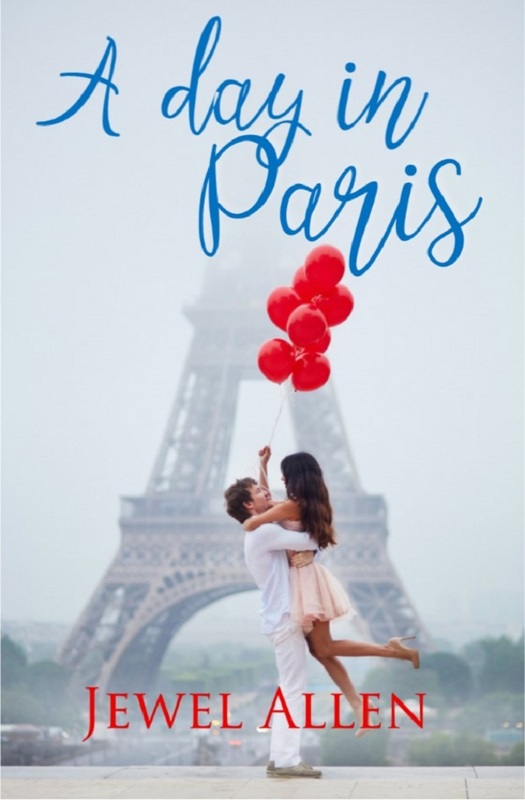 But as she drags him from one romantic stop to the next, she discovers a different side of Benjamin that makes her wish their day in Paris would never end. Burned by a past love, Benjamin Drake lives a very orderly, unromantic life. When he is asked to accompany Aubrey in Paris, he reluctantly agrees. It’s just a day after all. Aubrey drives him crazy with her bucket list—including a picnic, balloons, and a kiss at sunset. But as the day wraps up, he wonders if he might have been mistaken about her…and second chances. A clean contemporary romance novella by award-winning writer Jewel Allen. “A day in Paris” is a standalone book in the “Love around the world” series and can be read in any order.